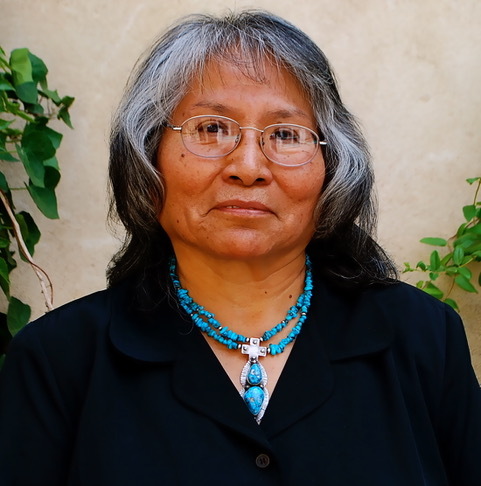 Tribe: Navajo Ruth Ann Begay was born in Phoenix, Arizona, but her family moved to Albuquerque, New Mexico where she grew up speaking only Navajo. She learned how to silversmith by watching her mother and her sister. Ruth Ann began silversmithing professionally after high school and started with simple bezels, and soldering then moving on to decorative work such as leaves. She is now married and has one daughter, Desbah. Ruth Ann uses modern tools to make her jewelry. She taught herself how to finish silver jewelry. Ruth Ann says that when she signs her name to a piece, it is important that the quality of her work be something that she can be proud of. Ruth Ann thinks that teaching silver smithing sounds interesting. She says that the value of being an artist is that she can find jobs that allow her to be creative. Click to view Ruth Ann's jewelry.